What are impact metrics standards? I like to think of each metrics standard as its own 'language.' Standards help us speak the same language as others in our network (i.e. stakeholders) so that we understand and analyze them well. 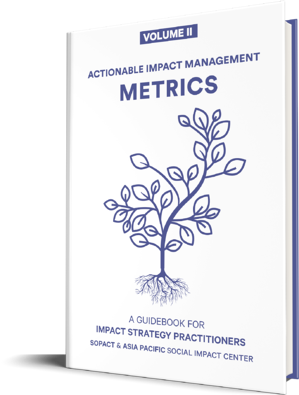 It is important that you speak the right impact language, so in this blog we'll share three tips for choosing standard impact metrics that help your impact shine. With these tips you'll be able to define (or redefine) standardized social impact metrics that are most relevant for your organization and its beneficiaries. To add context to these guidelines, we'll explore a bit of metric context as well, looking at why they are so important in the social sector and exploring some of the pros and cons of standard versus customized metrics. Like the regions of the world, different sectors within the social sector have their own distinct culture of communication. If you are communicating your social impact to impact investors, you'll want to speak a language (of metrics) they are comfortable with (Impact Reporting and Investment Standards (IRIS)). If you run in the circles of community organizations, you might want to speak their common language (of which GuideStar is one of many options). If you're seeking a global audience, you'll need to communicate through that lens (possibly the United Nations Sustainable Development Goals). Understanding and defining to whom your metrics need to speak is an essential step in defining relevant metrics for your organization. And standard metrics give you a ready-made structure to apply to your intervention. With that said, the presence of standard metrics has both positive and negative consequences for social impact measurement. For a more complete list of standards, download the Actionable Impact Management (AIM) Volume Two: Metrics guidebook. Organizations can benefit from the research and development put into the creation of standards when adopting them. Standards like IRIS are developed by the GIIN to specially serve impact investors. As philanthropy is changing and more and more charities and foundations are turning to impact investing, these standards are very important for creating a common impact language. GRI, the world’s leading organization for sustainability reporting, helps mobilize many private sector companies to align with sustainability goals to fill the funding gap. Similarly SDGs require adoption from all the sectors, which has been made easier because its targets and indicators are already well-defined. If an organization is asked to report to multiple funders, the existence of standardized metrics may help reduce the work of reporting. Well-defined metrics accompanied with definitions, sample answers, usage guidelines, and so on, ensure that the funder and funded organizations are aligned in the ask of each metric. This also help in aggregating the collective impact at the investment or funder level. Read More: How to find and analyse Social Impact Outcome Metrics? Standardized social impact metrics are overwhelmingly oriented around outputs and activities rather than measuring for results (outcomes) of intervention. This poses a few problems, namely, that it is not measuring anywhere close to the impact resulting from intervention. Strictly collecting data on outputs and activities can lead those reporting to feel like they are being called to meet quotas rather than facilitate their social mission. Some standard metrics may not mission aligned for your organization and so may have to create custom metrics. What if you need to speak multiple languages at once? There are a few ways to do this, which can be broken down into three key rules for good metrics selection. Linking is the process of finding metrics with a similar ask across standards. Many standards have worked on cross-linking like GRI and SDGs and IRIS. Aligning can help you reference the objectives of one standard while sticking to your own metrics. Combining the metrics you use is especially helpful when the standards themselves have outlined a way to do this. Linking is essentially the practice of taking your identified metrics within one standard and cross-referencing them with similar metrics from another standard. This helps you better communicate your impact to a wider audience. Now, going about this is a lot of work. Thankfully, there are some (though not many) pre-composed linking options out there. Most of these efforts are carried out by IRIS. For example: Global Reporting Initiative (GRI) for sustainability reporting + IRIS. Read More: What to do when impact metrics fail? Aligning is mostly reserved for the United Nations Sustainable Development Goals (UN SDGs). This is because the Global Goals are a bit unique in how they are set up. Rather than a catalog of metrics, they are divided among their 17 Goals, 169 associated targets, and 230 individual indicators. Toniic, and impact investor network has adopted the Goals to their own Goals and set an example of how to align IRIS metrics to the UN SDGs in their T100 Project. By combining, we mean a list of metrics pulled from various standard catalogs. In the example of the Center for Health Market Innovations (CHMI) and IRIS, the two standards got together and created a joint list of approved metrics for Healthcare Organizations. Read More: Is Measuring Impact Worth the Financial Strain? So Should I Use Standardized Social Impact Measurement Metrics? That's up to you. If you are searching for an outcome-driven measurement approach and you do use standardized metrics, you may need to add a few custom metrics to the mix. Hopefully this review sheds some insights on the value of standards and the challenges they face.